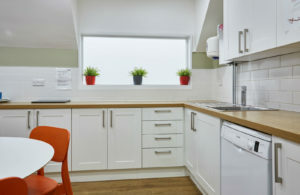 Kitchen facilities are very important for staff working in office buildings. There are some essential facilities that must be provided by law and then some additional ways to make kitchen space even better for employees. Let’s take a look at some of the essentials and then some kitchen office space ideas to provide an even better environment for employees. 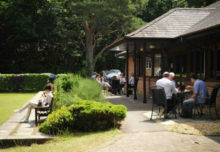 Tables and seating with back support must be provided for people to sit comfortably whilst they eat. Washing facilities must be provided to allow for the washing of hands and utensils including a sink, draining board, hot and cold running water, hand soap and washing up liquid to allow for adequate washing. Utensils must be provided for staff to effectively clean their dishes such as a sponge and dish cloth. Food warming facilities such as a microwave must be provided. Storage facilities such as cupboards and drawers need to be provided to keep utensils clean and free from dirt and dust. A fridge needs to be provided so staff can store perishable food safely. The fridge also needs to be large enough that all employees have space to place their food within it. Waste bins should be provided for the disposal of any waste and any bins provided should be emptied at least once per day. Access to clean drinking water and boiling water needs to be provided. The drinking water supply should be separate from any basin used for washing hands. Ideally, an appliance that provides boiling water when required is preferable. Alternatively, a kettle can be provided. Hand drying and utensil drying facilities also need to be provided to allow staff to dry their hands or utensils after washing. A clean tea towel or blue roll can be supplied for drying. When providing kitchen facilities all of the above should be considered and implemented to ensure that the dining facilities allow for staff to rest and eat in hygienic conditions that supply for all basic needs. 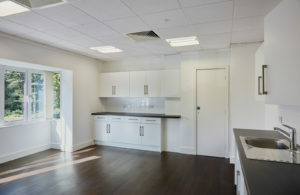 Covering basic requirements is very important, but more needs to be done to provide exceptional kitchen office space. In a competitive labour market, it is important to take steps to provide a caring and considerate environment for your employees, as this can contribute to the morale of your workforce. Let’s take a look at some ideas for providing a kitchen in your office space that goes above and beyond simply the legal requirements. Additional facilities can be provided for employees such as a toaster and coffee machine. Going that step further to provide these facilities can positively impact staff. If possible, it’s a good idea to allow plenty of natural light into the eating area. This can be done with windows, skylights or simply reconsidering where tables and chairs are positioned in a room. Seating is a legal requirement, but the quality of the seats provided can be very different. When staff are on their lunch break allow them to relax with comfortable seating options. Complimentary fruit can be a great way to encourage staff to snack on heathy items and a healthy workforce will reduce sick days and positively impact productivity. Your kitchen can double up as a collaborative meeting space. In most offices meeting space is constantly in demand, so provide your employees with an alternative to a traditional meeting room. The kitchen can also help meetings to feel more casual and relaxed, embracing the feeling of a coffee shop meeting culture. If space allows it can be a good idea to provide a breakout activity such as a ping pong table or air hockey table, allowing employees to relax during truly relax during their breaks, before refocusing on their tasks when returning to their desks. Arguably the kitchen is the most important space in your office and evidence suggests that a well-designed kitchen area that is well-equipped with facilities means happier employees, and happier employees means increased productivity. 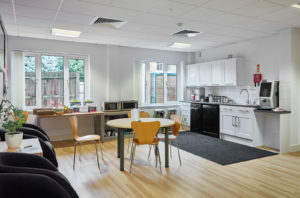 The kitchen provides a space giving employees, in most cases, a much-needed break from their computer screen and the opportunity to talk to colleagues. A well-designed kitchen can become the central hub of the business. The truth is that the kitchen provided in your office space is very important to staff. A well-designed kitchen providing a range of facilities can encourage a positive atmosphere within the workplace leading to more contented employees who are more productive and more likely to see their long-term future at the company. Hopefully some of the kitchen office space ideas above have given you some thoughts on how to take your kitchen facilities beyond simply providing for the legal requirements. We are aware that sometimes the rules of the landlord are a limiting factor, making it difficult to provide the kitchen space you would like to provide for your employees. The Tanshire Park Management team has worked with a number of our tenants to ensure that they provide exceptional kitchen space to their employees, working with each business to make sure their ideas become a reality. 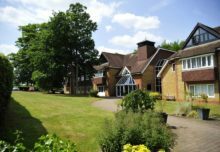 If you would like to come and see what office space at Tanshire Park could offer your business, then please arrange a guided viewing by calling +44 (0)1483 572999 or email jonathan@tanshiremanagement.co.uk.